Newton Farmer’s Markets Open This Week! I am excited for Newton’s Farmer’s Markets to open this week! I go to both some weeks. Friday’s has better parking but a more limited selection. Tuesdays also has the ice cream truck parked inside with premium ice cream as a way to get the kids to come along without complaining. What is your favorite stand or item to buy? My vote is the peaches and the fish guys. New this season at the Tuesday Market will be fresh Mushrooms and Raviolis. It’s great to know that there’s an open market like this.. You can get more fresher fruits and vegetables.. Good job! Thanks for the schedules. You are very welcome! 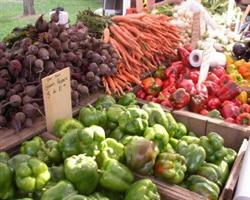 Enjoy the Farmers’ Markets in Newton! 5th Grade Science Unit on Weather: Air Pressure, Heat, Moisture and Wind.